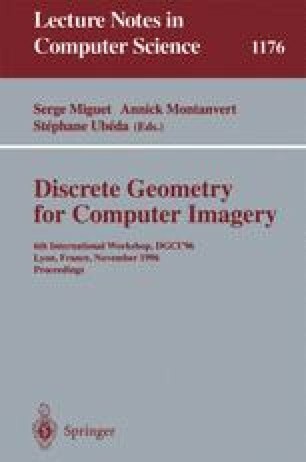 The shape description of the surface of three-dimensional discrete objects is widely used for displaying these objects, or measuring some useful parameters. Elementary components of discrete surfaces, called surfels, contain some geometric information, but at a scale that is too small with respect to the scale at which we actually want to describe objects. We present here a fast computational technique to compute the normal vector field of a discrete object at a given scale. Its time cost is proportional to the number of surfels at and little dependent on the scale. We prove that our algorithm converges toward the right value in the case of a plane surface. We also give some experimental results on families of curved surfaces.